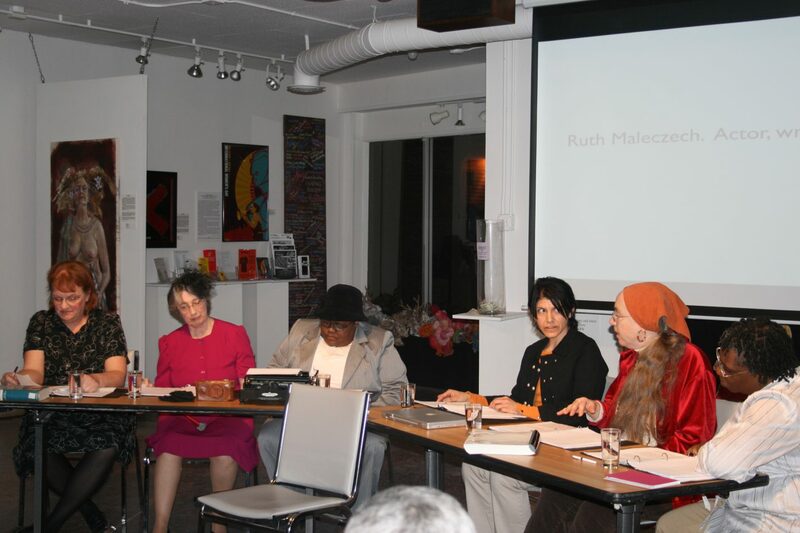 In March of 2010, ArtRage held a screening of a film about women artists titled, Who Does She Think She Is?. It was so popular that we screened it two more times for a total of about 170 people! As a result of that screening two ArtRage committees were born; a group of women who set out to curate an exhibition of women artists to celebrate the 100th anniversary of International Women’s Day during the months of March and April 2011 and another group of women who committed to developing and booking events to be held during the run of that exhibition. This collaboration of tireless committee members brought you the ArtRage exhibition of 100 Years of Women Rockin’ the World! and a dozen or more thrilling events including, a women’s film festival; poetry readings; one-woman show on the survival of breast cancer; staged reading of a play about women writers in the 1930’s WPA Program and more… and a very special event hosted by ArtRage as a benefit concert – emma’s revolution and Colleen Kattau at May Memorial. Carol & Jerry Berrigan, Sari & Doug Biklen, John & Dolores Brule, Cheryl Chappell, CNY Now Chapter, Lynn Fallon, Bob Gates & Deborah Welsh, Bruce Grannan & Melinda Matzell, Ed Kinane & Ann Tiffany, Diane LaFrance, Jack Mannion & Stephanie Miner, Giancarlo Moneti, Deirdre Nelson, Georgette Nicolaides, Shirley & Larry Novak, Orange Line Gallery, Tina Parker, Linda Perla, Sarah Stuart-McIlvain, Yolanda Tooley, Amy Zamkoff and The Joan Rothenberg Family Foundation. 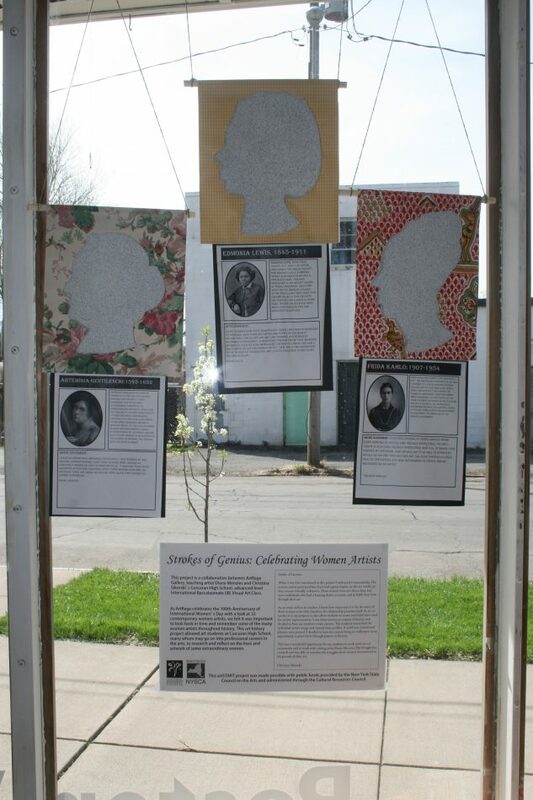 Arlene Abend, Amy Bartell, Ellen Blalock, Marlena Buczek, Elizabeth Carter, Jen Cartwright, four artists from the Chicago Women’s Graphic Collective, Sue Coe, Erin Currier, Jane Evershed, Susan Grabel, Sharon Lee Hart, Robin Hewlett, Gail Hoffman, Nancy Hom, Katherine Hughes, Lahib Jaddo, Mollie Kellogg, Kate Luscher, Dierdre Luzwick, Sofia Perez, Ruth Putter, Favianna Rodriguez, Gazelle Samizay, Nicole Schulman, Sarah Walroth, Anita Welych and Oceans Unraveled project with artists: Aviva Alter, Mary Buczek, Mary Ellen Croteau. 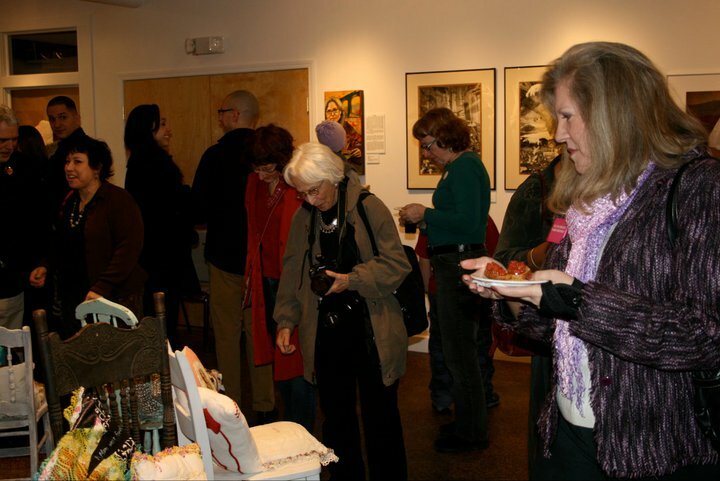 Curating Committee: Karen Kerney, Erica Riker, Laurie Gillmore Selleck, Sue Streeter, Donna Tarbania and Rose Viviano. Events Committee: Annemarie Deegan, Rebecca Fuentes, Kimberley McCoy, Georgette Nicolades, Clare Rauch, Deb Richardson, Deborah Sorrentino, Kerry Thurston and Rose Viviano. International Women’s Day: On March 19, 1911 more than one million women and men attended International Women’s Day rallies campaigning for women’s rights to work, vote, and hold public office, and to protest the discrimination that cemented women’s unequal status under law and custom. Though much has changed in the lives of women, our time is no less turbulent, and women are still working collectively to build a world that works for all of us. Annually on March 8th, thousands of events are held throughout the world to inspire women and celebrate their achievements. Arlene Abend is a sculptor who has graduated from The Cooper Union, NYC, (on full scholarship), Syracuse University and has completed additional technical study in her field. She has given numerous lectures and demonstrations and is a member of the International Sculpture Society among other organizations. 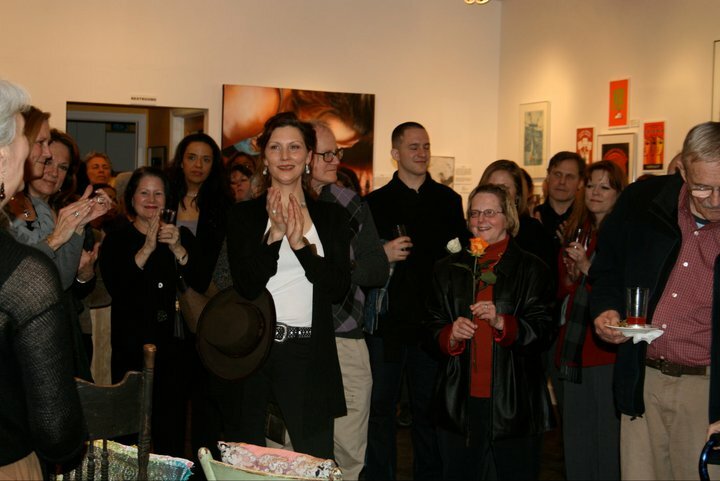 Her work has been published in Women Artists In America II as well as other publications. She was featured as a television subject in the PBS documentary Portraits and has been interviewed for various print reviews and has made many television appearances. Arlene has most recently been the subject of the documentary Stretching Boundaries: The Life Work Of Sculptor Arlene Abend, a new film by local filmmmakers Courtney Rile and Michael Barletta who form the film company Daylight Blue Media. 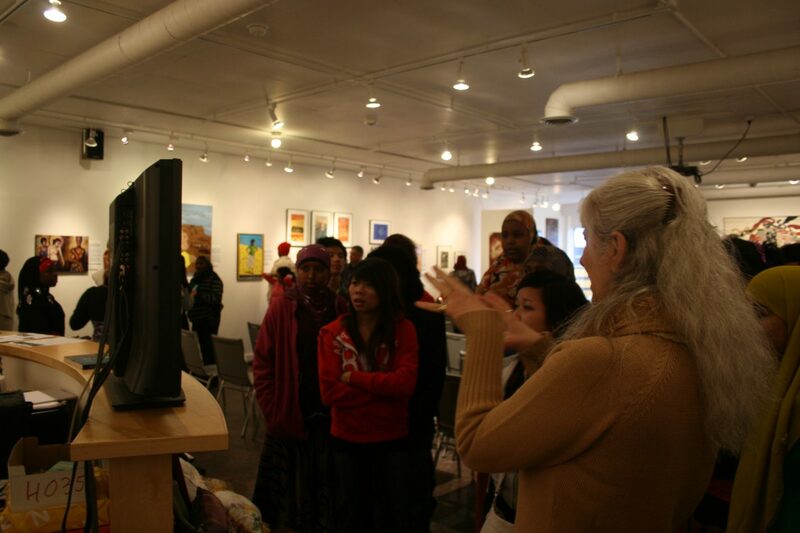 As part of a celebration of films by and about women, the film was shown at the ArtRage Gallery on Sunday, March 20, 2011. Ellen M. Blalock creates a vehicle of visual and oral communication to narrate the lives of people that need to be heard. She listens, records, and makes available the voices and stories that are discarded and disregarded. 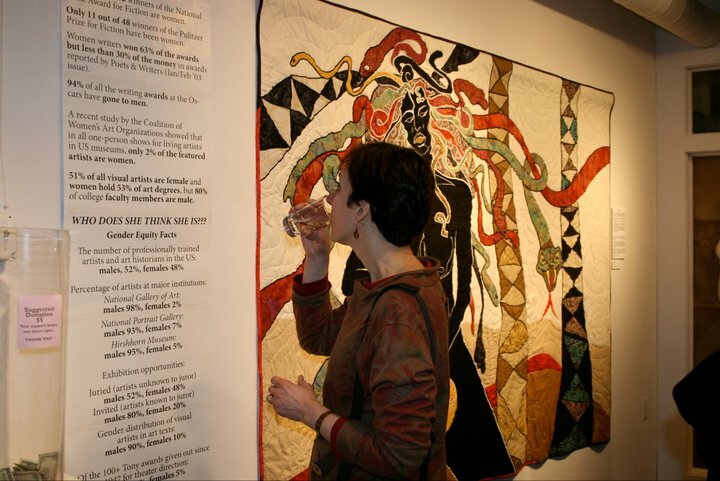 Blalock’s media are photography, video, installation, storytelling and quilts. She has worked on several series within the past ten years, The Fathers’ Project (photo / video installation on young African American fathers), A Family Album: The Quilt Project (collection of oral history, photos and quilts) and CNY Pride Family (photos of LGBTQ families of Central New York). Blalock has a BFA from Tyler College of Art and a MFA from Syracuse University. 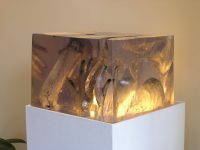 She has received several grants from the Cultural Resources Council and was an artist-in-residence at LightWork. 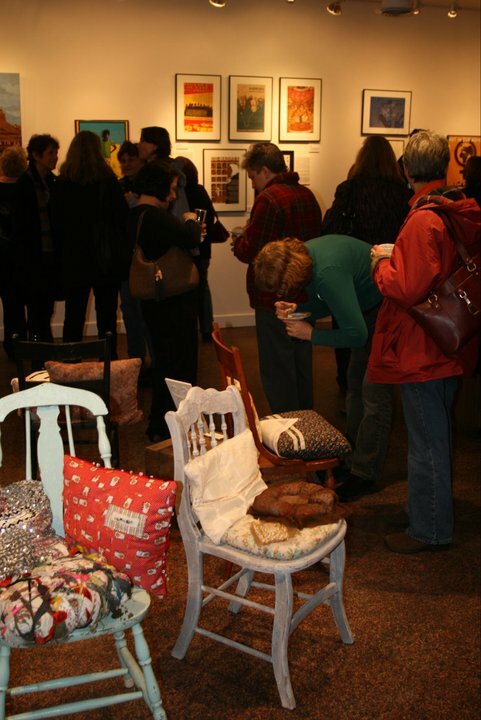 Blalock has exhibited at many art spaces in Central New York. 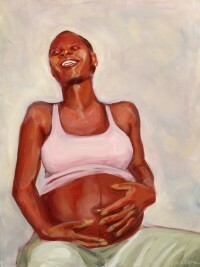 She also exhibited in Seattle, WA; Los Angeles, CA and Charleston, SC. Blalock resides in Camillus, NY. Ruth C. Putter, as a young photographer living in New York City, was influenced by the “Decisive Moment” work of Henri Cartier Bresson and she joined the progressive Photo League. In Syracuse, she worked for a time with Fred Demarest of Syracuse University. 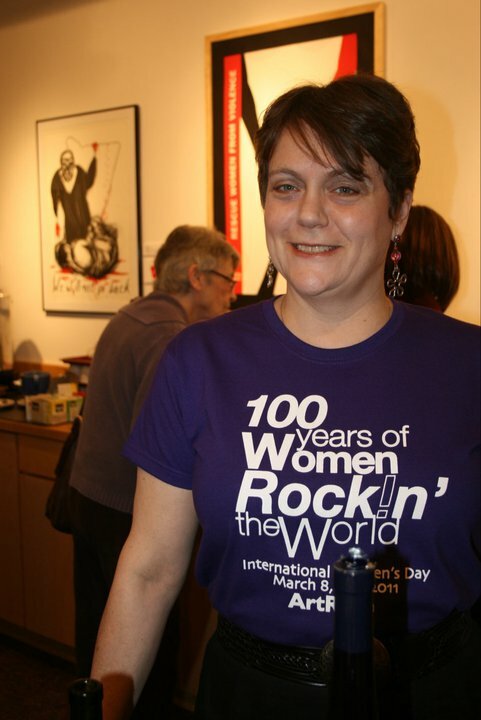 Her photographs have been published in national photography and feminist publications and calendars including the Syracuse Cultural Workers’ Peace Calendar. She co-authored a book of photographs and writings on the women’s Peace Encampment at Romulus, New York, entitled; “The Women’s Encampment for a Future of Peace and Justice”, (Temple University Press). 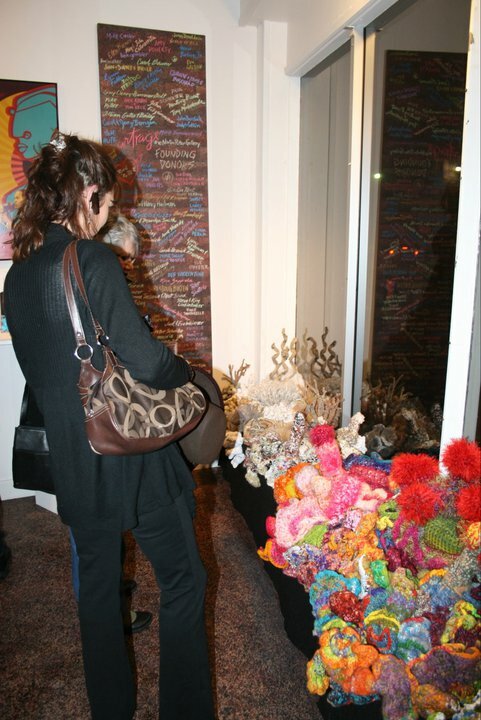 Her exhibits include those at the Everson Museum, Lightwork and many local and national galleries. 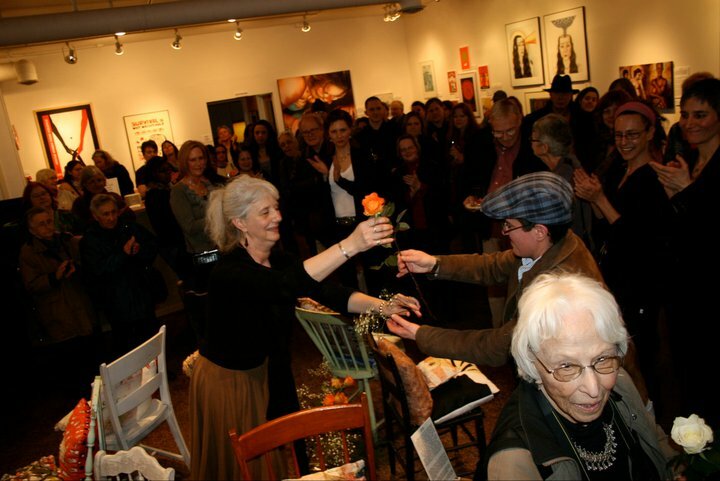 An activist, feminist and talented artist herself, Ruth generously offered to fund the creation of ArtRage: The Norton Putter Gallery, as a memorial to honor her husband’s many years of volunteer work for social justice. We proudly carry on the tradition of resistance in his name. Marlena moved to the US from Poland in the early 90’s. Her body of work includes posters, commercial graphic design, and paintings. 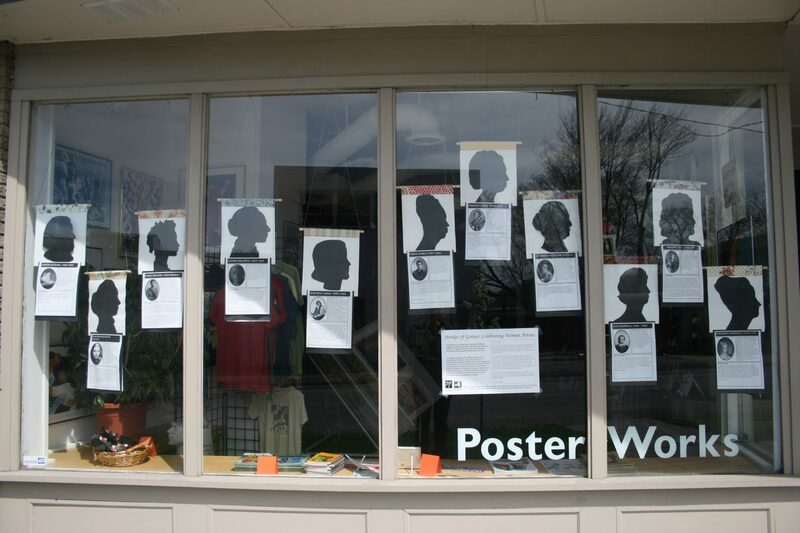 Her posters have been printed in various publications including Graphics and Print. 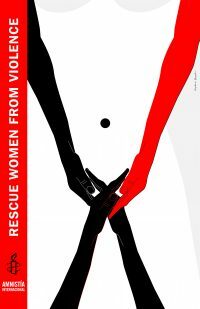 Marlena’s posters have been exhibited globally in countries which include the U.S., China, Italy and Russia. 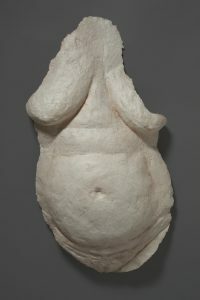 Susan Grabel’s figurative sculpture in mixed media on social and political themes has been exhibited in solo and group shows at galleries, universities and museums across the country including Soho20 Chelsea, NYC, Prince Street Gallery, NYC, Monmouth Museum, Dartmouth College, Pratt Institute Gallery, Artists Choice Museum, Urban Institute for Contemporary Arts, Grand Rapids, MI, Newhouse Center for Contemporary Art, SI. 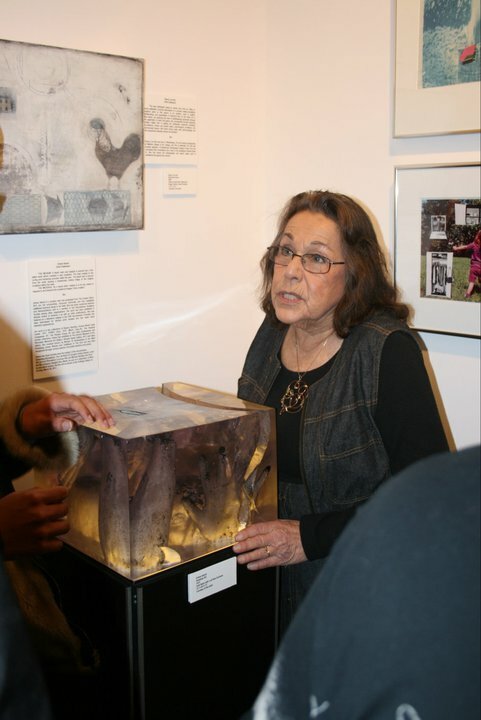 Her awards include six grants from the Council on the Arts & Humanities for Staten Island, a Jentel Artist Residency and sculpture commissions for the Women’s Health Center at Staten Island University Hospital and the Staten Island Children’s Museum. 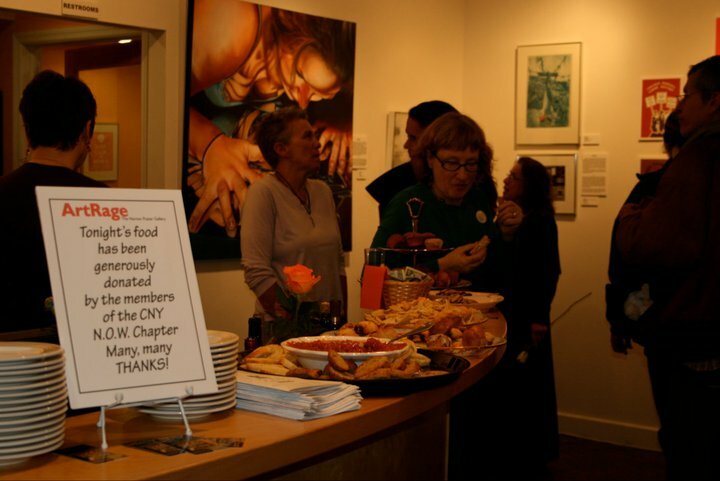 She has been active in artist organizations and was President of the NY chapter of the Women’s Caucus for Art, National Treasurer and most recently exhibition coordinator for the Staten Island Creative Community’s Art by the Ferry Festivals. Originally from Iraq, Lahib Jaddo settled in the U.S. in 1977. She has lived in: Baghdad, Iraq; Beirut, Lebanon; and Albany, New York before moving to Lubbock, Texas in 1983. Jaddo has been a studio artist since 1990 and has been an art and architecture professor at Texas Tech University since 1991. Jaddo holds a master’s degree in fine arts from Texas Tech University 1990, a master’s degree in architecture also from Texas Tech 1988 and a bachelor’s degree in architecture from Rensselaer Polytechnic Institute in Troy NY 1980. 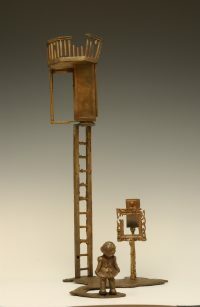 Her work has been on display at Texas Tech University Museum, Texas A & M University-College Station; Lubbock Arts Alliance; the Fort Worth Contemporary Art Center; El Paso Museum of Art; the Julia C. Butridge Gallery at the Dougherty Arts Center in Austin; and numerous other locations around the state of Texas. Mary Ellen Croteau – Born 1950 in Chicago, Mary Ellen Croteau received a BFA in sculpture from the University of Illinois at Chicago in 1990, and an MFA from Rutgers University/Mason Gross School of the Arts in 1998. 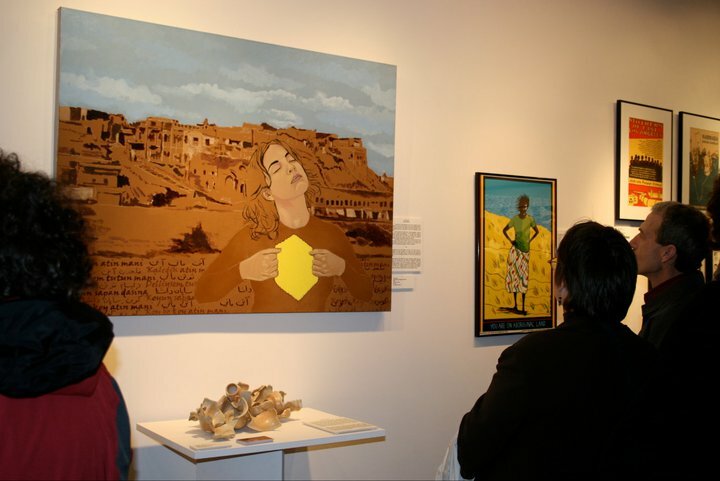 Her art has been exhibited in museums and galleries both nationally and internationally, has won numerous awards and has been reproduced in Ms. and other publications. Croteau has lectured and organized, curated and/or juried numerous exhibitions both in the US and abroad. 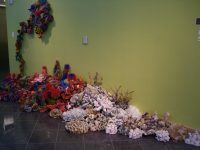 She has crocheted the bleached section of this reef from plastic bags. Favianna Rodriguez is an artist-entrepreneur who has helped foster resurgence in political arts both locally and internationally. 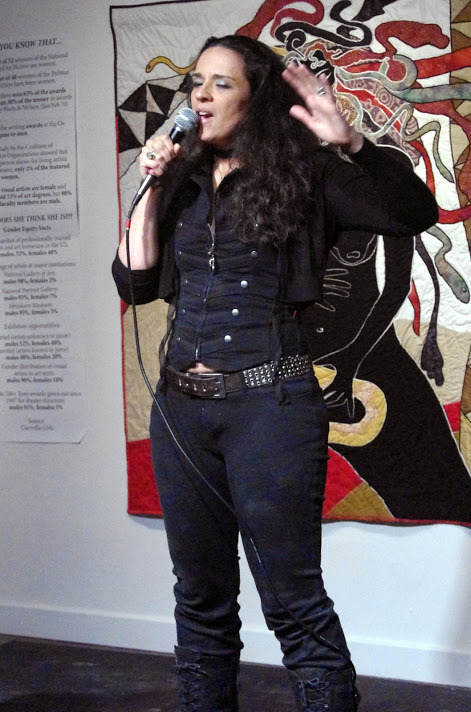 Named by UTNE Magazine as a “leading visionary artist and changemaker,” Rodriguez is renown for her cultural media projects dealing with social issues such as war, immigration, and globalization, as well as for her leadership in establishing innovative institutions that promote and engage new audiences in the arts. 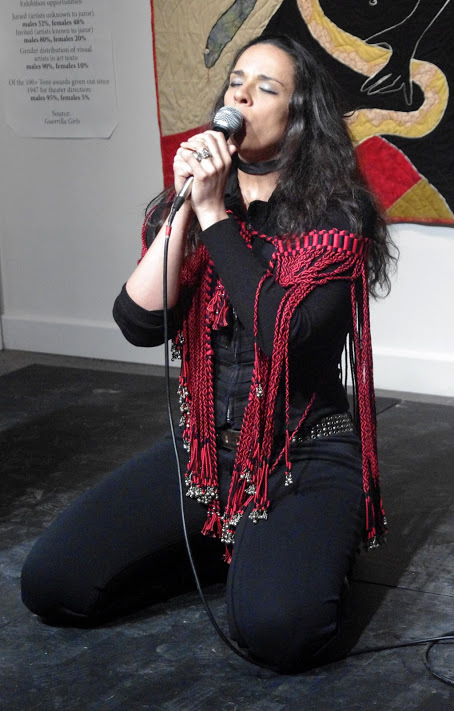 In 2001, Rodriguez co-founded the EastSide Arts Cultural Center in Oakland, California. 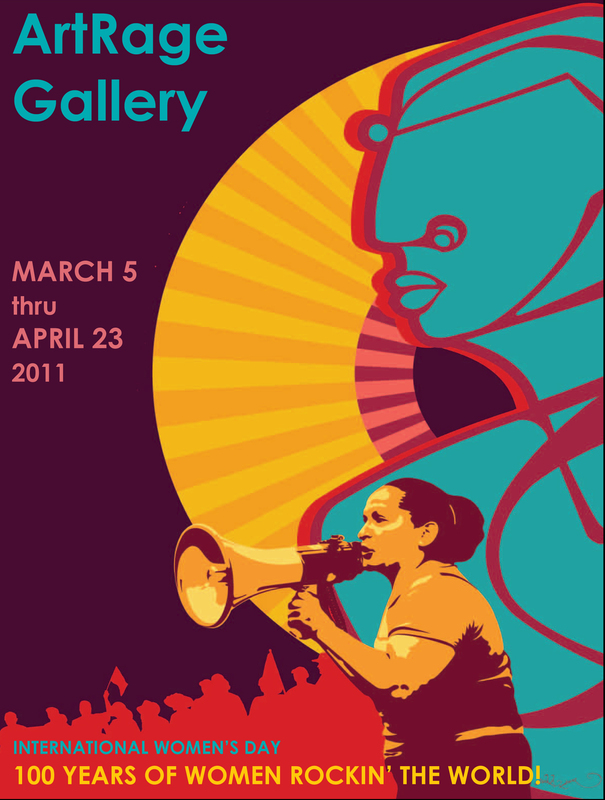 In 2003, she helped established the Taller Tupac Amaru print studio to promote the historical practice of socially-engaged printmaking. Additionally, Rodriguez is co-founder and president of Tumis Inc., a bilingual design studio that serves nonprofits all over the United States. As president of Tumis, Rodriguez travels extensively to consult with organizations interested in using visual communications and new technologies to promote community building and social change. 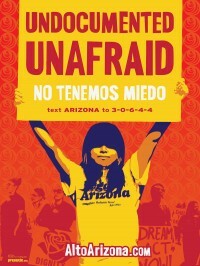 In 2009, she co-founded Presente.org, a U.S.-based, nationwide organization dedicated to the political empowerment of Latinos via the internet and mobile messaging. Gazelle Samizay was born in Kabul, Afghanistan and now resides in the US. Using video and photography she explores the intersection of her Afghan heritage and American upbringing through her status as a woman in both spaces. Memories are reinterpreted and performed to express the complex, layered world of an immigrant Afghan family, touching on both the personal and sociopolitical. 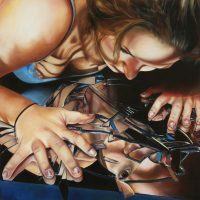 Samizay often uses a female protagonist to question cultural definitions and constraints, revealing the burden of cultural and gendered expectations. By performing these rituals within the diaspora she investigates how traditions may be perpetuated, reconfigured or challenged in new locales. Samizay’s photographs and videos have been exhibited across the US and internationally, including Brazil, Bulgaria, Egypt, France, Indonesia, Pakistan, and the UK. She will exhibit her first solo show in New York at the Guild Gallery this spring. 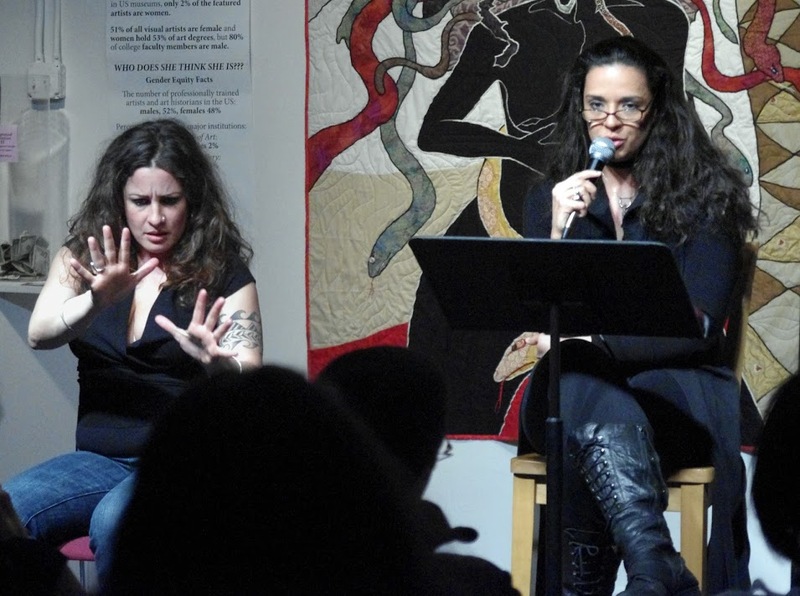 Amy E. Bartell is an artist, activist and professor of art at SUNY Oswego. Through her business A.E. 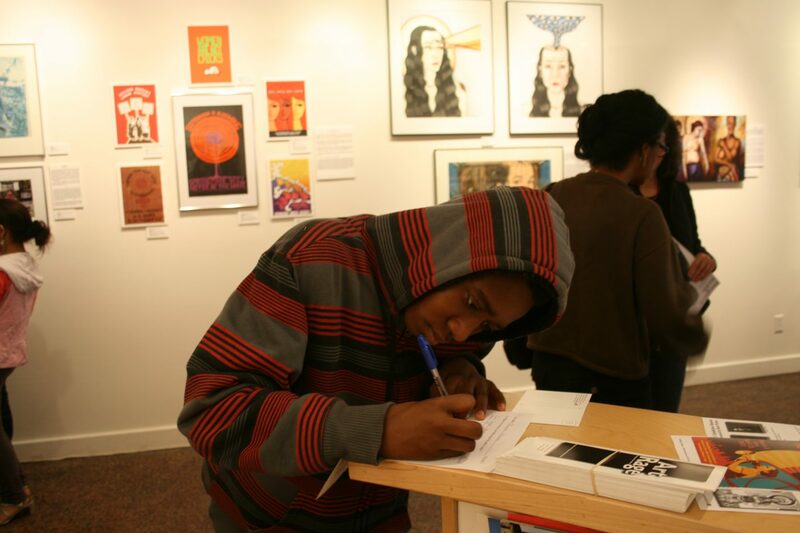 Originals, she publishes and distributes work internationally through museums, galleries and catalogs. 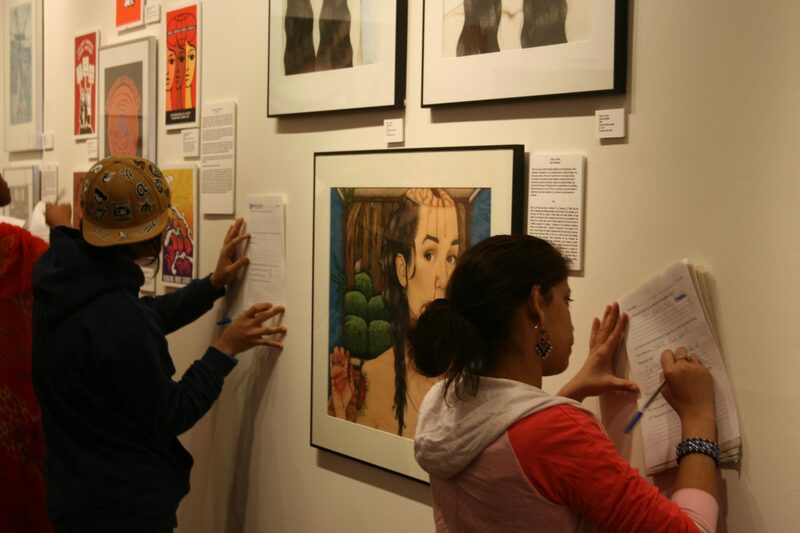 She creates murals for college campuses, non-profit organizations and community centers. Amy is also a keynote speaker at commencements, rallies and leadership conferences. Anita Welych is a Syracuse-born artist of Colombian heritage who studied painting at Cornell University, Syracuse University and the Universidad Nacional in Bogotá, Colombia. She has received two Fulbright grants to Colombia. While living in Colombia, she exhibited her work and taught at the Universidad Nacional de Colombia and La Universidad de los Andes in Bogotá. She presented lectures at various other universities throughout the country. 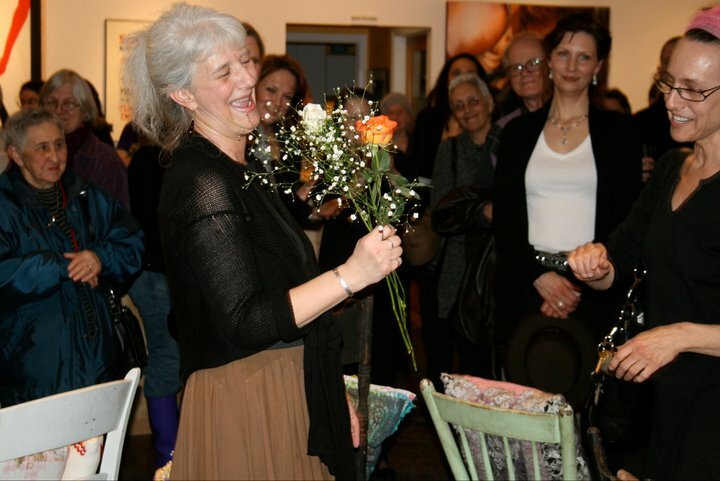 She is a professor of art at Cazenovia College. Nancy Hom was born in Toisan, China, grew up in New York City, and moved to San Francisco in 1974. 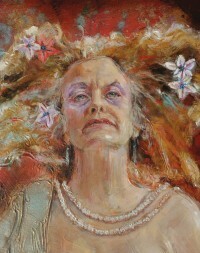 The political climate of the 1970s influenced her development as an artist. She became interested in community events and Asian American history after participating in anti-Vietnam war demonstrations. In New York City she co-founded the Asian American Media Collective and was a participant in Basement Workshop, a multi-disciplinary Asian American arts organization. 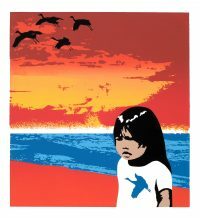 In 1974, Nancy was introduced to the silkscreen medium at Kearny Street Workshop, a San Francisco based multi-disciplinary Asian Pacific American arts organization. 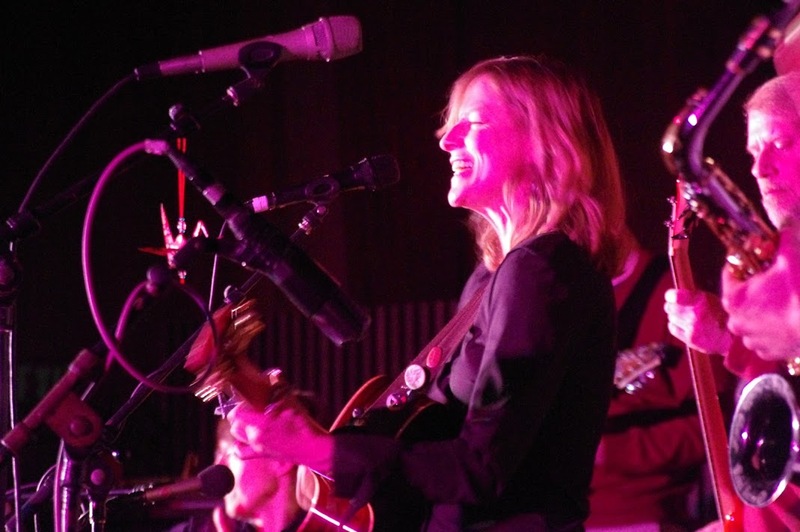 Since then she has devoted her career as an artist to the non-profit sector. Katherine Hughes was born and raised in Glasgow, Scotland in the 1960s. She left Scotland in 1976 and had a wide variety of travel, educational, and work experiences before discovering clay in mid-life. 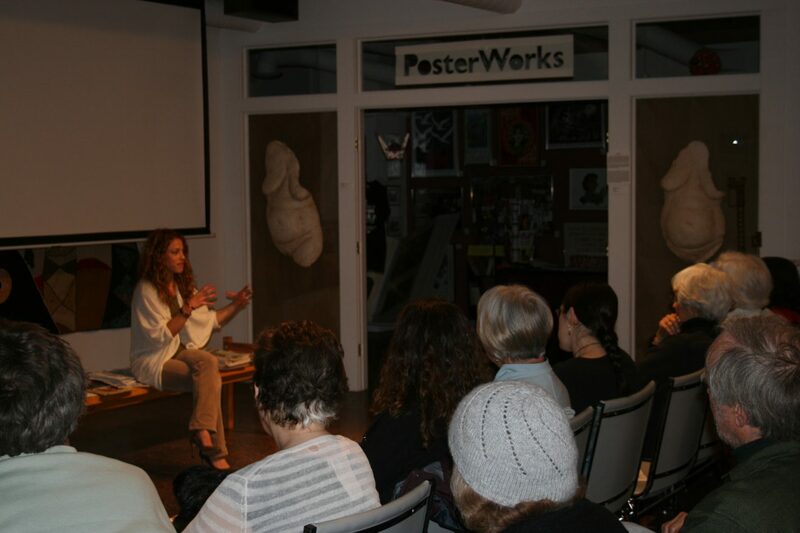 Studies in Jungian Psychology led her to explore a variety of art media, and clay was the one that captured her heart. She has degrees in Religion and Depth Psychology (B.A. Syracuse University, 1991), and Ceramics (B.F.A. Syracuse University, 2007). As well as making ceramic sculptures, Katherine makes functional pots for every day use. 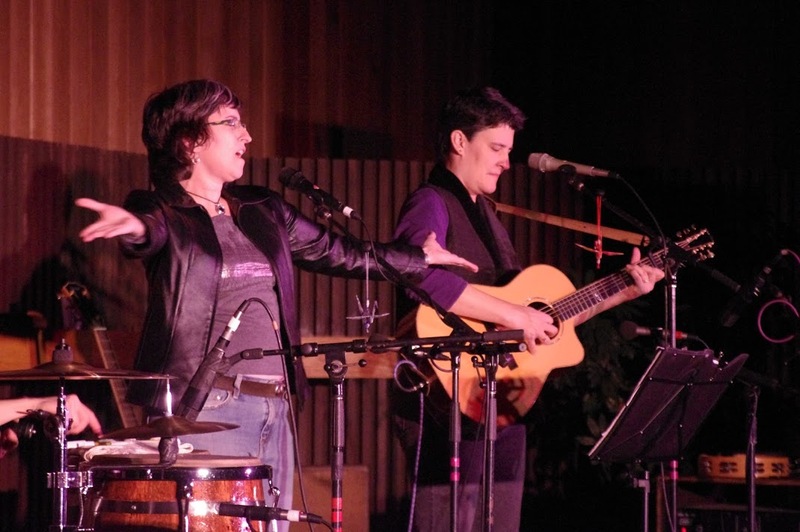 She lives in Syracuse, New York with her husband and teaches wheel-throwing classes at the Community Folk Art Center. Gail Hoffman is a multi-media artist who teaches part-time in the Transmedia and Foundation departments at Syracuse University. She casts her bronze narrative figurative work at the foundry in the university’s sculpture facility. Her first solo show was at the Chuck Levitan Gallery in Soho in 1998 and she has been in group shows at the Denise Bibro Gallery in Chelsea. 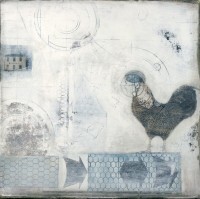 She shows annually at SOHO20 Chelsea Gallery, where she is a national affiliate member. 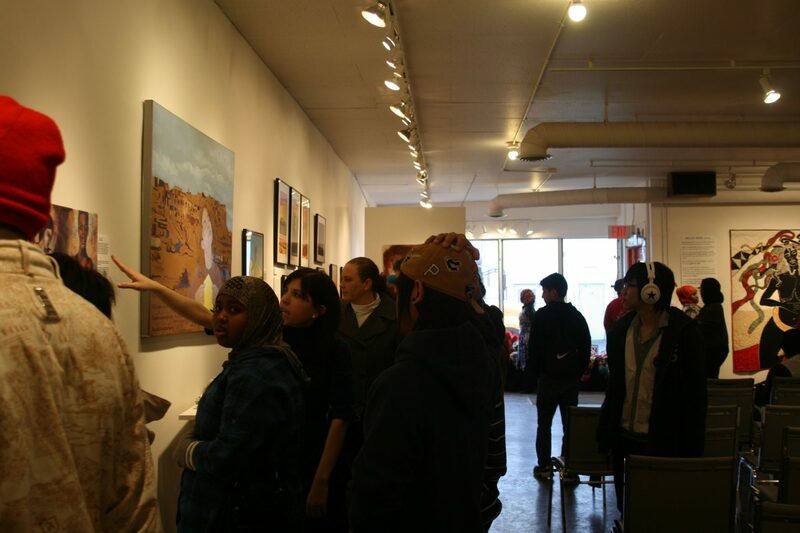 The gallery is one of the first women co-op galleries in New York City. 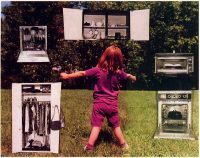 She recently completed a permanent installation in Hinds Hall at SU for the iSchool’s Windows Project. 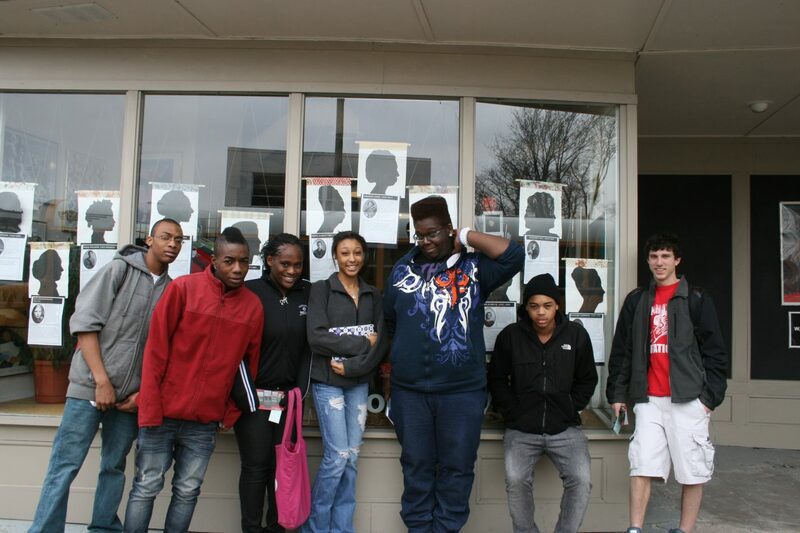 Her interests in connecting with city schools resulted in a 2008-10 Enitiative grant from the Ewing Marion Kauffman Foundation for a collaborative community project between Syracuse University design students and the Syracuse city high schools. Sofia Luz Perez was born in Austin, Texas on February 15, 1989. 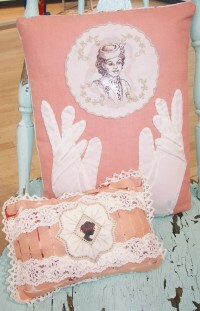 She grew up in Syracuse, New York with her mother, a fiber artist, and older brother. At age sixteen she became ill with a growing brain tumor and proceeded to see doctors for an entire year, none of whom helped her. She then turned to holistic healing. It was through the holistic approach that she was able to improve and become more balanced. 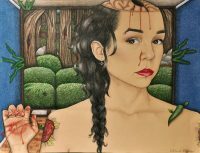 Much of her art is a direct result of the healing process she went through. 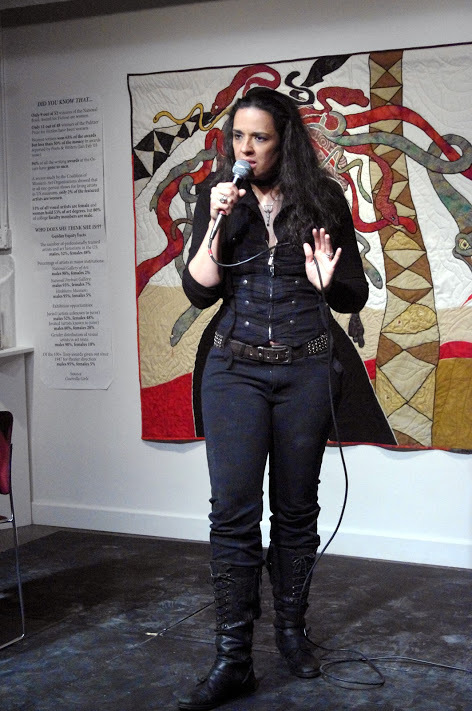 Other inspiration for her includes the connection/overlap of science and spirituality, lucid dreams, psychic phenomena, and Pre-Columbian Mexican imagery. 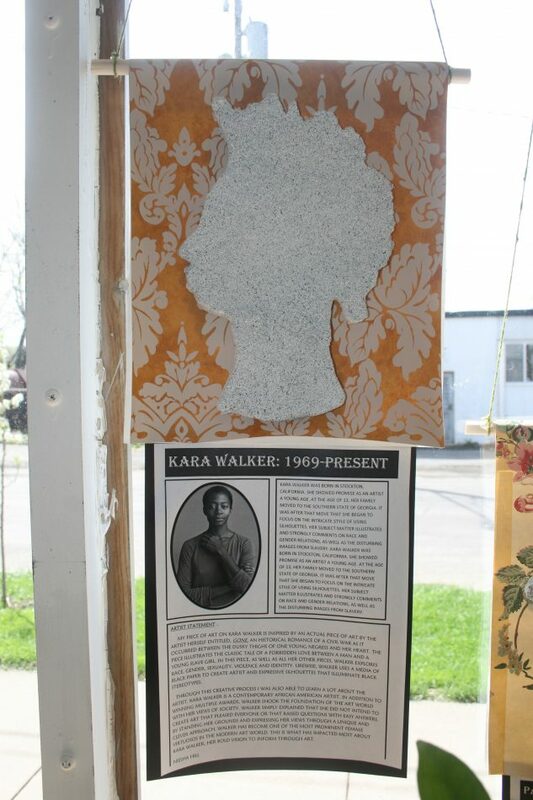 She had her first solo art show, titled “The Self,” at Sparky Town Restaurant in January of 2010, and her work is featured in the 2011 Women Artists Datebook, produced by the Syracuse Cultural Workers. She is currently living in New York City and studying Studio Art at Hunter College. Sarah Walroth is a painter who recently graduated from SUNY Potsdam with a Bachelor of Fine Arts degree. Her work has been displayed in numerous group shows around the state, most recently including Tomorrow’s Masters Today at the Albany Institute of History and Art. She has works in the offices of the SUNY Administration Building, and was also recently featured on the cover of an independently published book of poetry. She is currently living and working in Syracuse, New York. 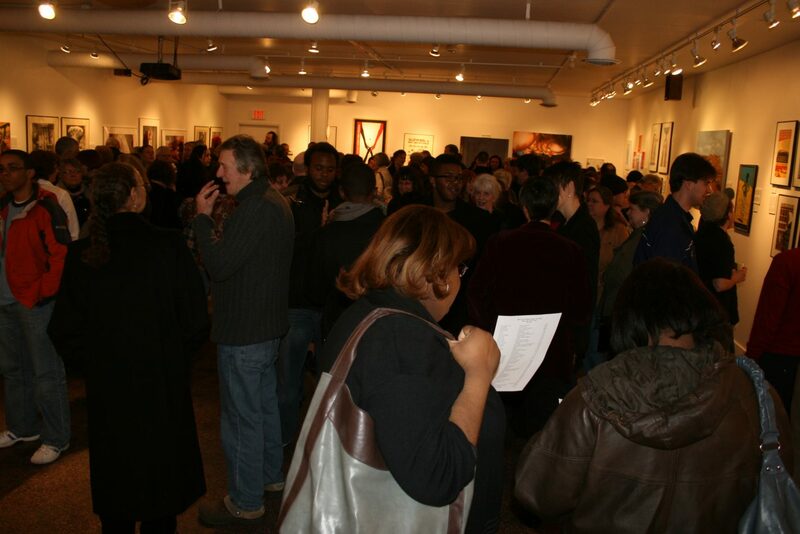 More information, as well as selected works of art, can be found at www.sarahwalroth.com. In 1990 Jane began raising her two children as a single mother in Minneapolis Minnesota in the US, using the income she made from self-publishing her art series, most notably, The Power of Woman. Her note cards, prints and journals have been nationally distributed since 1989. Jane’s activism began at the age of 21 when she was jailed briefly in South Africa for opposing the system of apartheid. She spent two years on The Board of Women Against Military Madness and was jailed briefly for activism against an arms manufacturer as part of the Alliant 28, all were found not guilty under the Geneva Conventions. Her art: Many Voices, One Vision, was used to commemorate the 75th anniversary of a woman’s right to vote and a print was presented to Hillary Clinton in Washington DC on the occasion. Please visit www.evershed.com to see more art. Aviva Alter – Born 1954, Aviva Alter attended the School of the Art Institute of Chicago from 1973 – 1977. She worked as a potter for 15 years, and joined the staff at Lillstreet Art Center in Chicago in 1991. In 2000, she was appointed Executive Director. 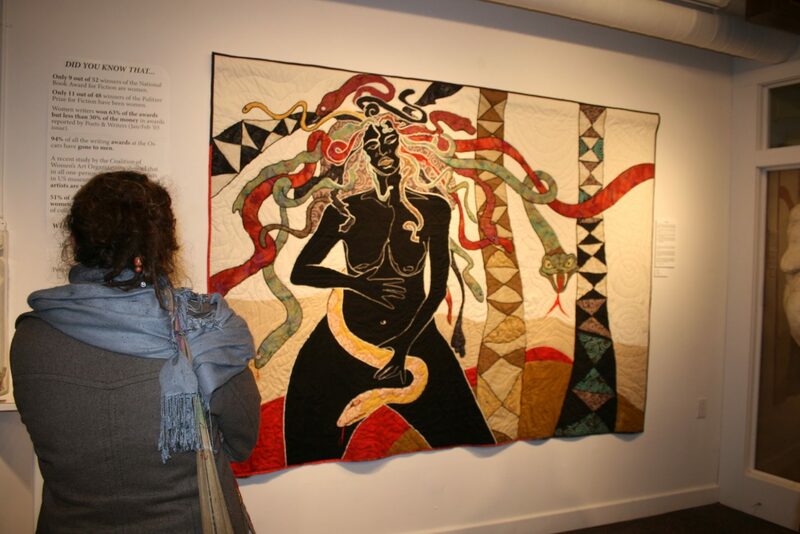 In 2003 she began to work in fiber full time, exhibiting around the U.S.
Mary Buczyk – is a fiber artist who lives and works in Chicago, Illinois.